Jesse Choe, Kyungmin Lee, C.-L. Huang, Nandini Trivedi, E. Morosan, "Magnetotransport in Fe-intercalated TS2: The comparison between T = Ti and Ta", [arXiv:1812.07063]. Steven Kivelson, "Nematic Quantum Hall Fluid Without Stripes", Journal Club for Condensed Matter Physics (2018). J. Zhao, K. Lee, J. Li, D. B. Lioi, D. J. Gosztola, G. P. Wiederrecht, G. Karapetrov, N. Trivedi, U. Chatterjee, "Spectroscopic fingerprints of many-body renormalizations in 1T-TiSe2", [arXiv:1807.07598]. 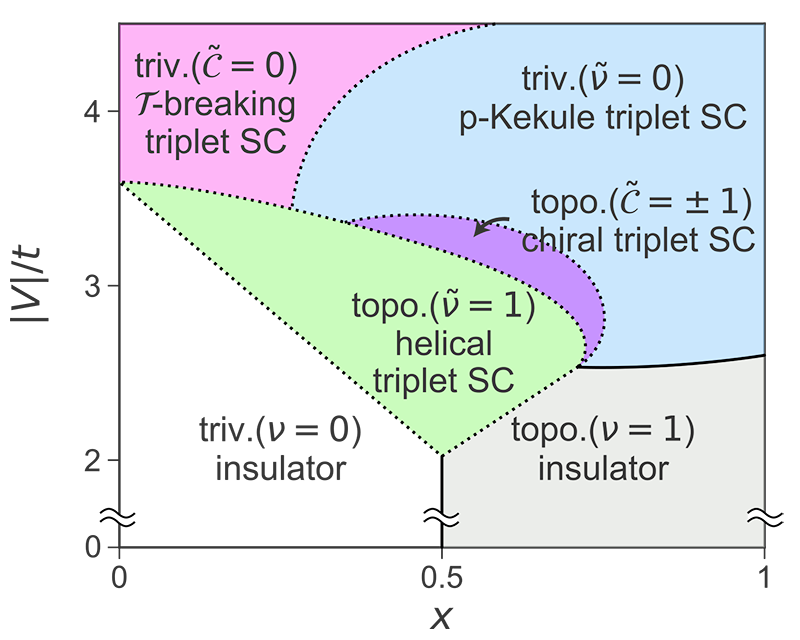 Kyungmin Lee†, Tamaghna Hazra†, Mohit Randeria and Nandini Trivedi, "Topological superconductivity in Dirac honeycomb systems", [arXiv:1806.08795]. Kyungmin Lee, Eun-Ah Kim, "Emergent topological superconductivity at nematic domain wall of FeSe", [arXiv:1702.03294]. 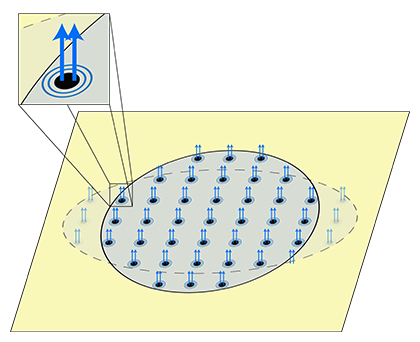 Kyungmin Lee, Steven A. Kivelson, Eun-Ah Kim, "Cold-spots and glassy nematicity in underdoped cuprates", Phys. Rev. B 94, 014204 (2016) [arXiv:1603.03104]. Zhao Liu, Abolhassan Vaezi, Kyungmin Lee, Eun-Ah Kim, "Non-Abelian phases in two-component ν=2/3 fractional quantum Hall states: Emergence of Fibonacci anyons", Phys. Rev. B 92, 081102(R) (2015) [arXiv:1502.05391]. 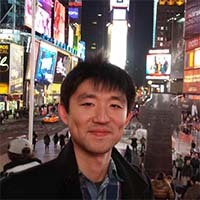 Milan P. Allan†, Kyungmin Lee†, Andreas W. Rost†, Mark H. Fischer, Freek Massee, Kunihiro Kihou, Chul-Ho Lee, Akira Iyo, Hiroshi Eisaki, Tien-Ming Chuang, J.C. Davis, Eun-Ah Kim, "Identifying the `Fingerprint' of Antiferromagnetic Spin-Fluctuations in Iron-Pnictide Cooper Pairing", Nat. Phys. 11, 177-182 (2015) [arXiv:1402.3714]. 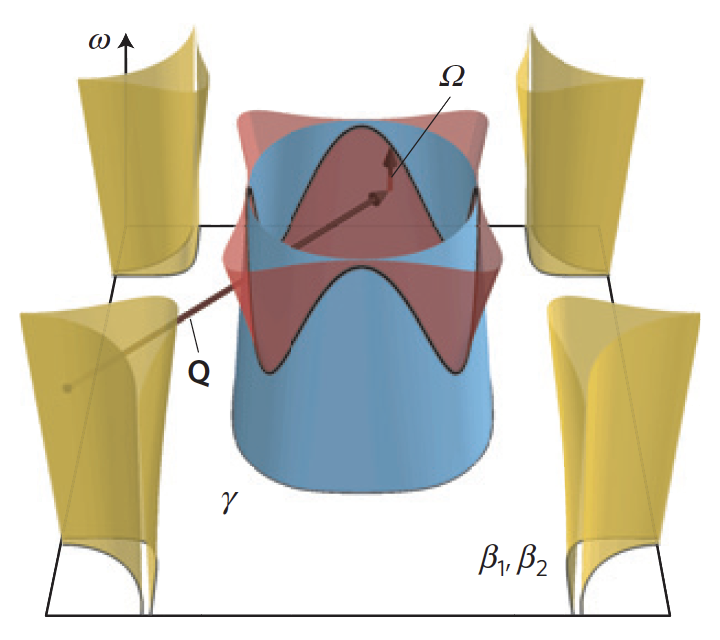 Kyungmin Lee, Abolhassan Vaezi, Mark H. Fischer, Eun-Ah Kim, "Superconducting proximity effect in topological metals", Phys. Rev. B 90, 214510 (2014) [arXiv:1402.3297]. 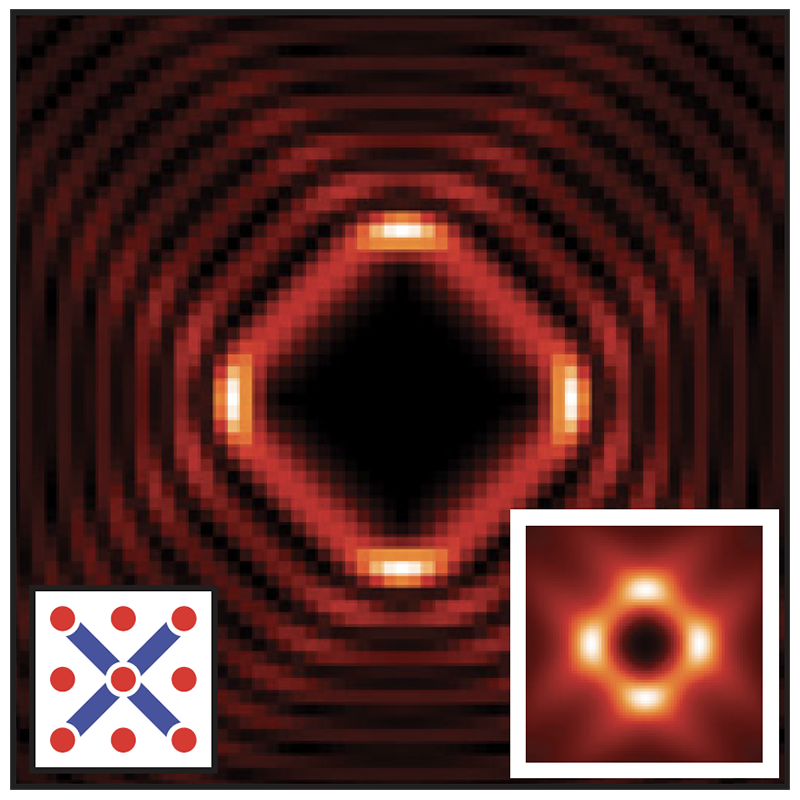 Kyungmin Lee, Mark H. Fischer and Eun-Ah Kim, "Signatures of unconventional pairing in near-vortex electronic structure of LiFeAs", New J. Phys. 15, 053048 (2013) [arXiv:1209.0788].